No wooly beasts are getting by while Bert's on duty. 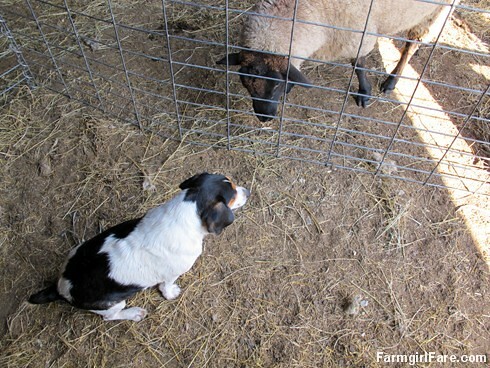 © FarmgirlFare.com, where all serious stock dog duties aside, what Bert would really like is for one of those sheep to break out of the barn and chase him down the driveway. 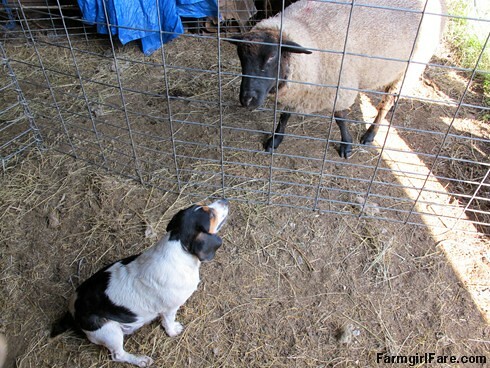 He loves to be chased, especially by sheep, but try as he might, there are only a couple of them he can ever get to accept his request. 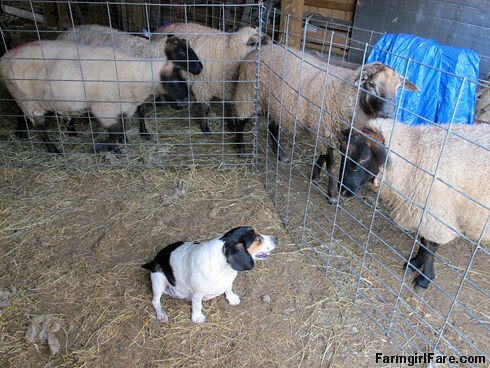 And yep, watching a big wooly beast race around in circles after a thrilled little beagle is just about one of the funniest things ever. Ok, now I totally need a video. That sounds like the funniest thing ever. OK----is Bert getting a little "fluffier" or is it just relaxed muscle? Second that request for video! Yep. Video. Susan, you're just going to have to become a cinematographer! You have such a cast of characters already in the union. And it's time to bring Joe in for a close up at long last, too! Um...do you see all of these video requests? YOUR AUDIENCE NEEDS YOU. Also Bert is just the cutest. I just love this silly Bert! compared to him, my dogs have no personality at all! !